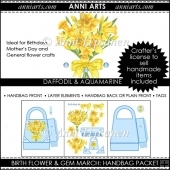 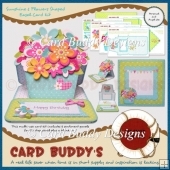 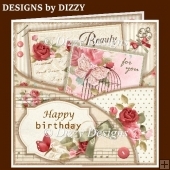 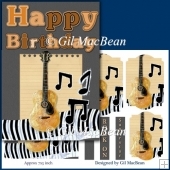 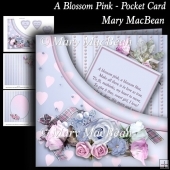 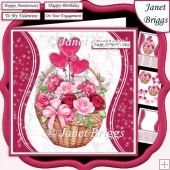 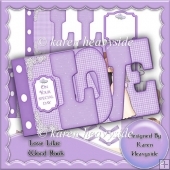 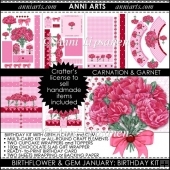 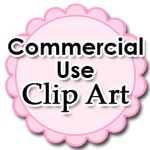 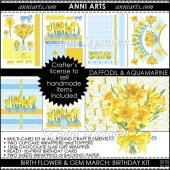 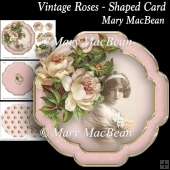 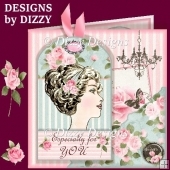 Perfect to pair with the Birthday card and your card creations from the card kit which are both in the Birthday Kit. 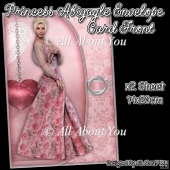 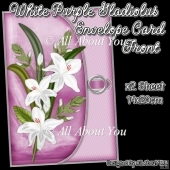 An envelope with back and front sections fits the 5" x 7" Print Card and also coordinates with any cards made from the card kit that have a 5" x 7" dimension. 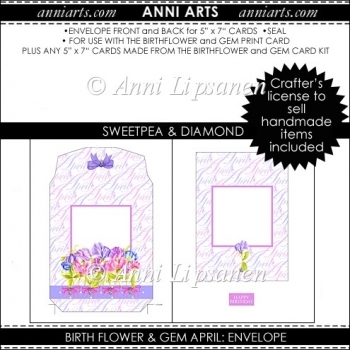 April's Birth Flower and Gem pair is the Sweetpea and the Diamond. 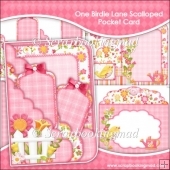 Print on good quality plain paper, cut out, score and glue front to back section. 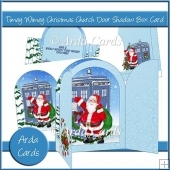 There is a seal for the back of the card too.